Geniuses Collide In 2008's Best Jazz Cross-pollination of excellent musicians made for some amazing jazz in 2008. The year's best CDs feature numerous musicians collaborating with each other on a wide variety of recordings. Hearing the best musicians work with other geniuses is a wonderful thing to witness. Here are 10 of the best jazz CDs of the year. Cross-pollination of excellent musicians made for some amazing jazz in 2008. 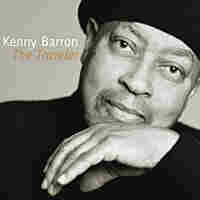 The year's best CDs find guitarist Lionel Loueke making an appearance on albums by Francisco Mela and Kenny Barron, Mela playing on Barron's new CD as well as his own, Joe Lovano releasing one album solo and one with Saxophone Summit, and pianist Jason Moran appearing on recordings by Mela and Cassandra Wilson. Hearing the best musicians work with other geniuses is a wonderful thing to witness. There were so many new jazz releases this year that it's virtually impossible to have heard everything. For that reason, there's likely some great music out there that was overlooked only because I didn't hear it. (Feel free to nominate your own favorites in the comments section below.) That said, in no particular order, here are the year's 10 best jazz CDs. 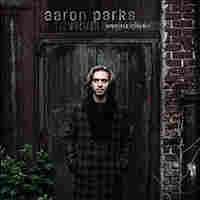 Invisible Cinema is 24-year-old pianist Aaron Parks' debut album for Blue Note. Parks has worked on the road and in the studio for years with Terence Blanchard's sextet, including on the soundtracks for the Spike Lee films When the Levees Broke and Inside Man. Each of Invisible Cinema's entirely original compositions could serve as soundtracks to movies that have yet to be filmed. Vijay Iyer is a brilliant composer, pianist and producer who also holds advanced degrees in physics and technology and the arts. He's worked with artists as varied as Dead Prez (a socially conscious hip-hop duo), Rudresh Mahanthappa (a forward-thinking jazz alto saxophonist) and DJ Spooky. Iyer successfully draws from all of his technical and creative influences, and arrives with some of the freshest, most compelling jazz today. Listen to "Aftermath" a few times to catch all of the ideas that come across in the composition. 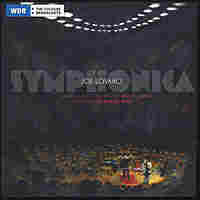 Symphonica captures a 2005 live concert in which saxman Joe Lovano performs with the German WDR Big Band and Rudfunk Orchester. Aside from one song, it's a collection of his original compositions, and "Eternal Joy" is among the highlights, featuring Lovano on soprano sax instead of tenor. The result is more powerful than pretty, opening with quirky sax and giving way to a sharp orchestral sound. As a whole, it's imperfect -- if you have an aversion to jazz with an orchestra, this won't change your mind -- but Lovano is remarkable throughout. This recording captures Cuban drummer Francisco Mela and his band of notable musicians live at New York's famed Blue Note jazz club. 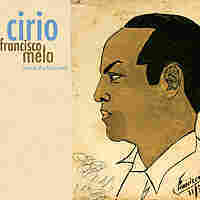 Mela calls this recording a "family object" because some of his compositions were written for his father, mother and young son. "Benes," though, was composed by Lionel Loueke, who leads off the song with a joyful guitar. It illustrates how well this musical family works together. Trumpeter Roy Hargrove has recorded jazz styles from straight-ahead to Latin (with his Crisol group), R&B, gospel and funk (with R.H. Factor) to fusion. 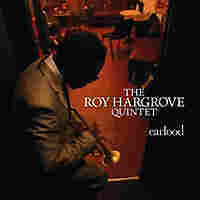 On this release, he gets back to his roots with the help of his working quintet. 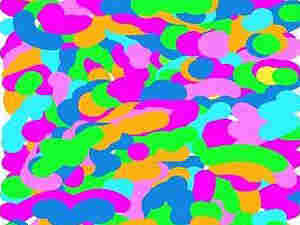 The sound is tight but fun, and sure to fill your daily requirement of joyful trumpet tunes. 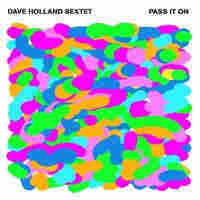 Bassist Dave Holland's recordings over the past few years have been consistently solid, making frequent appearances on best-of lists. "Pass It On" is no exception. This recording finds him recording with his sextet. One of the best qualities of Holland's collaborations is that none of the musicians try to outdo one another; each has the sound of a truly communicative and creative group that can effortlessly jump into and explore each other's ideas. 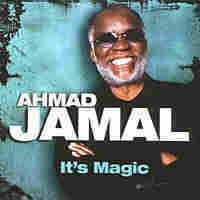 It's Magic, piano legend Ahmad Jamal's first CD in three years, was worth the wait. He still makes fresh, original music at age 78, as evidenced by the new composition "Fitnah," which fits nicely alongside jazz standards such as the title track and "The Way You Look Tonight." It's Magic sounds like a fountain of youth in song. 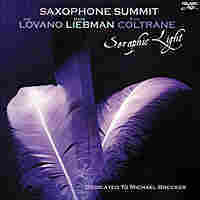 Saxophone Summit was originally formed in 1998 as a tribute to John Coltrane. Sadly, this recording serves as a tribute to not only Coltrane, but also the late Michael Brecker, one of the group's founders, who died in 2007. The original lineup included Brecker, Joe Lovano and Dave Liebman on saxes. For this CD, Ravi Coltrane joins the remaining two members to round out the triple-saxophone sound around which the group was formed. He doesn't replace Brecker or sound like his father, but instead adds his own style, which perfectly complements his bandmates. Pianist Kenny Barron has had a long career that's involved many travels -- not just through many places, but also through many different styles of music. The new compositions on The Traveler reflect many of the ideas he's collected along his journeys. "Calypso," featuring guitarist Lionel Loueke, is a jubilant tune to make you forget the chill of winter and think of travels to a warmer place. Cassandra Wilson's new recording of jazz standards is enough to make listeners forget the glut of forgettable recent CDs on which female jazz singers interpret the Great American Songbook. Wilson's style is distinctive; a mix of bluesy, jazzy, smoky and sultry. If you aren't familiar with Wilson, this is a good place to start. After a taste of Loverly, go back through her catalog and listen to some of the many styles she's explored, with great success, over the years. She's one of the most important voices in jazz today.